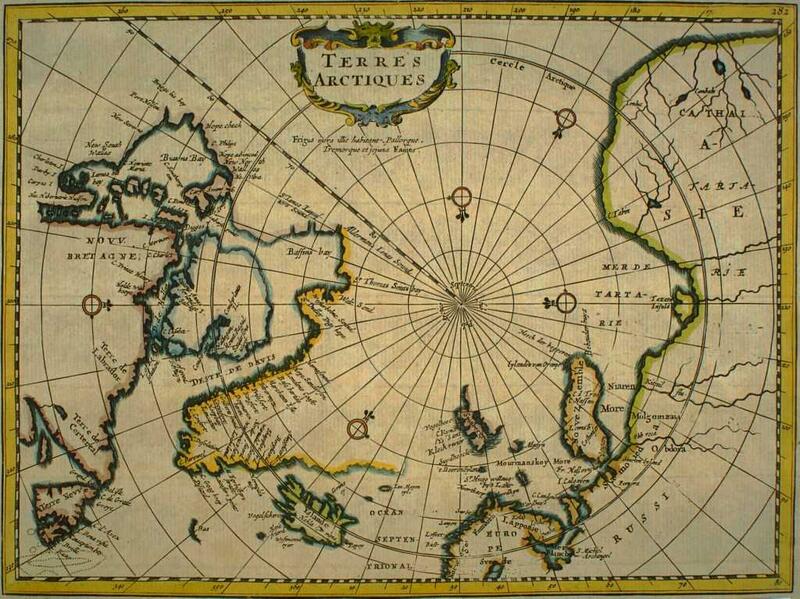 [Image: “The first map dedicated to the North Pole, by the great Gerard Mercator,” titled Septentrionalium Terrarum descriptio, reprinted 1623]. The North Pole’s melting ice cap is apparently creating something of an Arctic real estate boom. Or a shipping route boom, more specifically: new Arctic sea channels are opening up almost literally every season, and new – or revived – ports are being opened – or renovated – to serve them. Pat Broe, for instance, “a Denver entrepreneur,” bought a “derelict Hudson Bay port from the Canadian government in 1997” – for $7. That $7 port, however, could eventually “bring in as much as $100 million a year as a port on Arctic shipping lanes [made] shorter by thousands of miles” due to thawing sea ice. 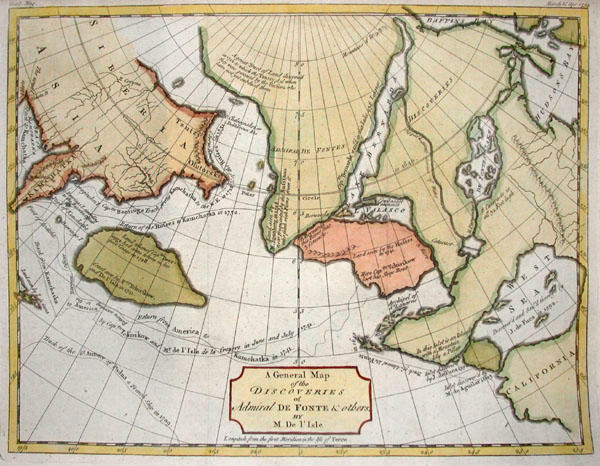 [Image: A 1754 De Fonte Map of the Northwest Passage]. But it soon gets interesting. “In a 2002 report for the Navy on climate change and the Arctic Ocean, the Arctic Research Commission, a panel appointed by the president, concluded that species were moving north through the Bering Strait.” [Emphasis added]. 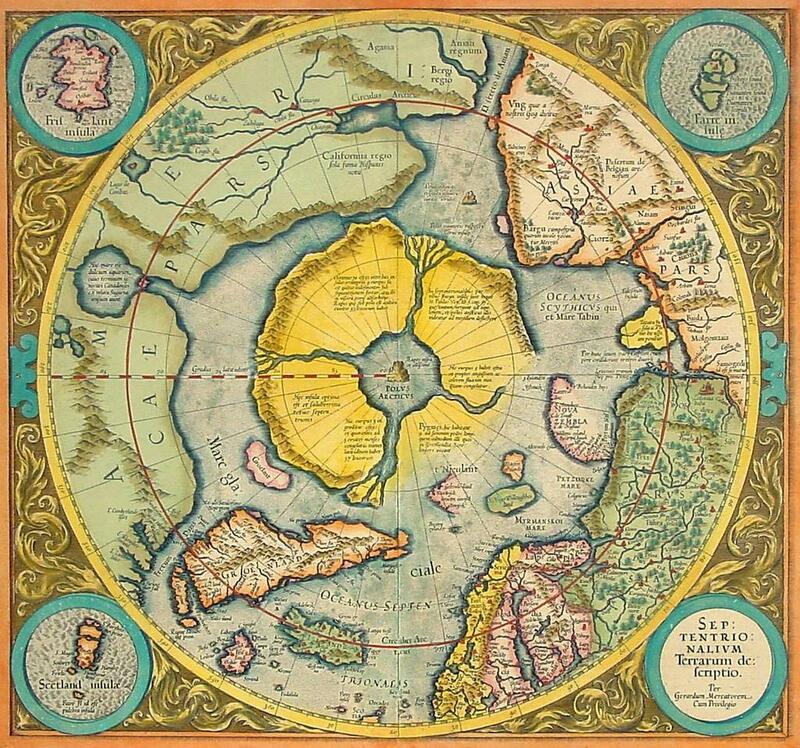 Territorial alterations and geographic changes at the pole, in other words, are leading to unexpected seaborne migrations, repositionings of the planetary gene pool. Surely there’s a James Cameron film in there, or at least some kind of Arctic pulp fiction thriller dying to be written? Soon they find weird marine fossils. Then ancient, apparently manmade artifacts turn up. At night they hear things. Then they find a city. This antarctic city is “of no architecture known to man or to human imagination, with vast aggregations of night-black masonry embodying monstrous perversions of geometrical laws. (…) All of these febrile structures seemed knit together by tubular bridges crossing one to the other at dizzying heights,” including “various nightmare turrets,” crowding “the most utterly unknown stretches of the aeon-dead continent.” Etc. 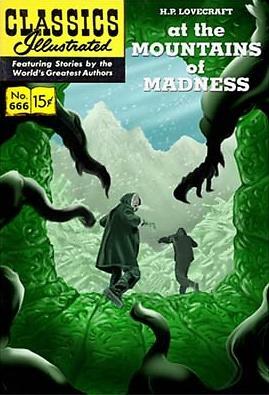 Lovecraft’s polar gothic now continues apace, however, at the opposite end of the Earth, as the planet’s northernmost currents of melting ice bring new rivers, new migrations, and even new instant cities deep into the waters of thawing Arctic archipelagos.